"Thank you!" wanderlust ATLANTA is 5! I'd like to offer my sincerest gratitude to friends, museums, attractions, fellow bloggers and so many others for your wonderful support of wanderlust ATLANTA over the last FIVE years. It was five years ago today that I published my very first blog post. What started as an endeavor to reacquaint myself with Atlanta, after being away for nine years, has turned into a passion, and many dear friendships. In a spirit of gratefulness, may I share something that is quite personal to me, and a bit fun. 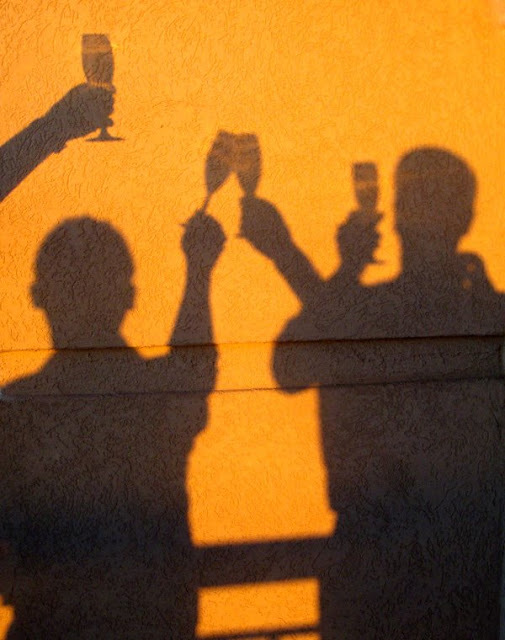 As I thank my supporters from over the years, I'd also like to "salute" you. 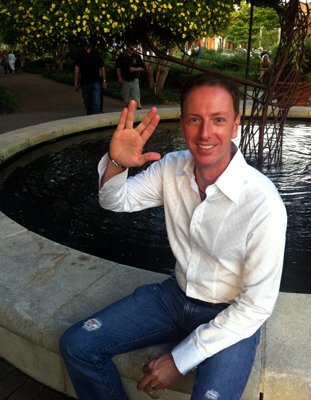 The most personal salute I can give is one that is near and dear to my heart, that being the Vulcan Salute. For those who do not know, the Vulcan Salute is one offered in greeting and farewells, but don't worry...I'm not quite ready to depart my writing. The customary Spock salute is coupled with, "Live Long and Prosper", which is what I wish for all who I care about, all who have wished me the same in my creating and continuing wanderlust ATLANTA. The above photo is one of my favorites in the five years I've been writing wanderlust ATLANTA. It was at an event at the Atlanta Botanical Garden, where I started volunteering when I first moved back to Atlanta—one of the best decisions I made when I moved back. May I offer a piece of advice: If you've just moved to Atlanta, or just moved to any city for that matter, become a volunteer. It's one of the best ways to acquaint yourself with the city you're now living in and you feel good about contributing! I did exactly that when I first moved to Washington, DC, after living in Atlanta for 15 years, and again when I moved back to Atlanta. I highly recommend volunteering, especially if you can get a position working an information desk or serving as a tour guide. You're putting yourself in a position where you must learn about your new home, and it's usually quite fun. From personal experience, it's the best way I know to learn a new town. Or, you could start a blog. Again, THANK YOU to my friends, fans and all the followers of wanderlust ATLANTA. I've had more fun in the last five years than I ever thought I would have...thanks to YOU. Cheers! wanderlust ATLANTA is 5! There are ROBOTS at Fernbank! That’s one of the epiphanies you'll glean when watching National Geographic's ROBOTS, released summer 2015 and now playing at Fernbank Museum of NaturalHistory. At first, I wondered why a natural history museum would be showing a movie about robots, but quickly reconciled that in my mind. Natural history is the study (particularly observational) of origins, evolution, and interrelationships. In this particular instance, it's an exploration of the progress and potential of robots...created by and for humans. I for one and ecstatic that this is being shared at Fernbank! Have I ever told you that I cried myself to sleep after witnessing the fate of Huey, Dewey and Louie, the robot stars of the sci-fi classic Silent Running? It was a film that my family watched one evening when I was only seven years old. It's true I was a sensitive child, but also I was already an established sci-fi enthusiast! 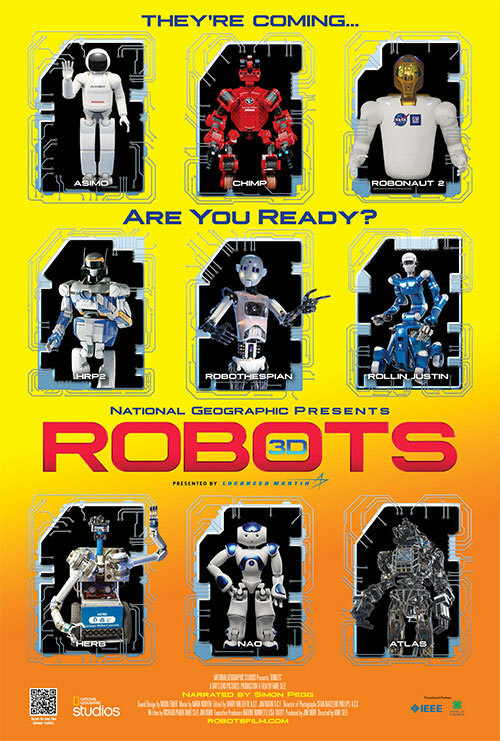 You can only imagine my excitement for the new IMAX film, ROBOTS, now playing at Fernbank Museum of Natural History! Building my excitement leading up to seeing the movie, it's narrated by Robo Thespian whose voice is that of none other than Simon Pegg himself—star of Shawn of the Dead (LOVED that one), and even more so as the star, Scotty, in the last two Star Trek films! "ASIMO": Honda's famed humanoid can jump and run up to 5 mph. "HERB THE BUTLER": Thanks to this helper, we may never have to clear the table or do dishes again. "ROBONAUT": NASA’s space handyman helps astronauts aboard the International Space Station. ANDROIDS: The human face has over 40 muscles to express emotions like fear, anger, surprise, happiness — and these androids are programmed to simulate these human-like behaviors. One day, they may be built to think, act and react like us. That's only a few of them! And watch the credits for a mention of Georgia Tech as a film advisor! By the way, the freighter ships in Silent Running were later used in an episode of the original Battlestar Galacica, which was a childhood favorite series and featured the human-created robotic race of Cylons! A quick reminder...as a young child, I wanted nothing more than to be an archaeologist, long before I wanted to be an astronaut. I find it pretty awesome that as an adult I get to write about both fields from time to time. If you're visiting over a weekend, I invite you to consider adding Martinis & IMAX to your Friday night itinerary. You have the opportunity to enjoy food, drinks, dancing with the dinos AND an IMAX film! If you're a local, check out Martinis & IMAX and keep an eye on Fernbank Museum of Natural History's website for announcements of new films, events and exhibitions...there's a LOT of fun coming up! ROBOTS is running now through Thursday, October 29. 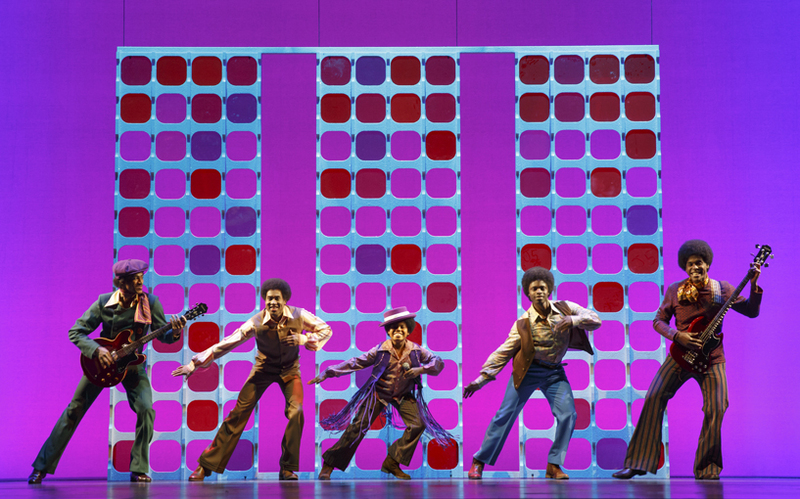 Seeing MOTOWN the Musical was so incredibly exciting! Not because I knew the story, but because I grew up with so many of the stars. 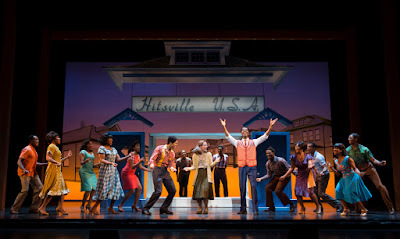 That I learned so much about the history and connections within the Motown family was a total bonus...but seeing the music performed live and onstage, at the Fox Theatre, was the BEST! This show starts with the 1983 Motown 25: Today, Yesterday, Forever tribute, then flashes back to the founding of Motown and finishes in a grand finale back in 1983. Wonderful, wonderful story! 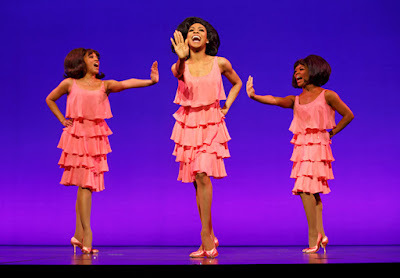 Of all the stars signed by Berry Gordy (performed by Josh Tower), the founder of the Motown record label, I'm a fan of The Supremes and Diana Ross (brilliantly portrayed by Allison Semmes) the most. I didn't know about the relationship she and Berry had, nor the background of Lady Sings the Blues and Mahogany, both of which are fantastic! By the way, if you're visiting Atlanta and see MOTOWN the Musical, make it a double-feature and also see Bruce Monro: Light in the Garden at the Atlanta Botanical Garden. 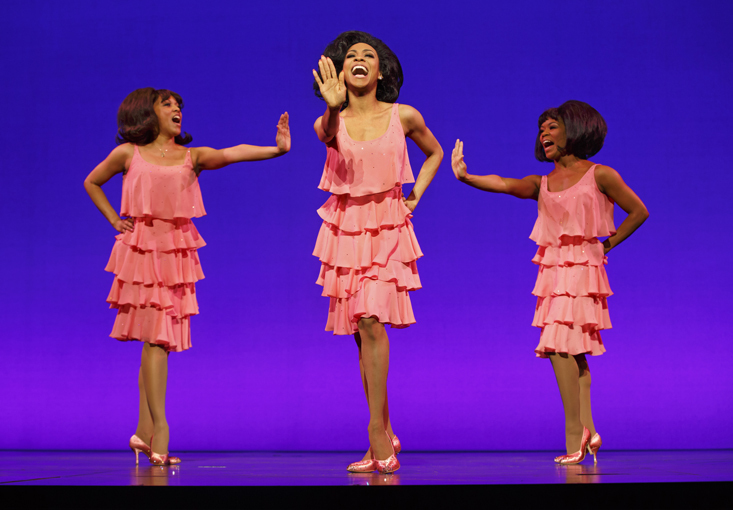 One of the six installations in the exhibition, Three Degrees, was inspired by The Supremes! Check out my post about Atlanta Ballet's Wabi Sabi performance at the Garden this summer, which includes a photo of Three Degrees (and a description about how it got its name). I had no idea that Berry Gordy signed The Jackson 5, although I remember their early music quite well! And of course, like billions of others in the world, I followed Michael Jackson's career throughout his life. 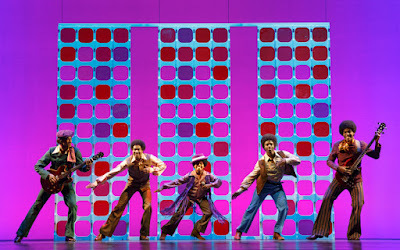 What I didn't know, and was awesome to experience in MOTOWN the Musical, was that Diana Ross made the very first introduction of The Jackson 5 after they were signed by Motown! It wasn't discussed in this performance, but I sat there wondering if Berry's cinema deals for Diana had anything to do with Diana Ross and Michael Jackson starring together in The Wiz. 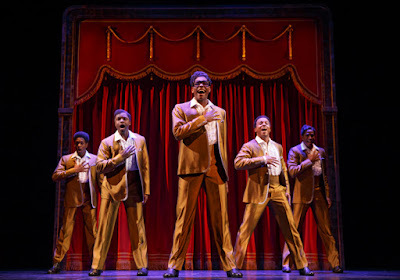 One of the other major players in MOTOWN the Musical was Smokey Robinson, (played by Jesse Nager), which I didn't know much about, but definitely know his music! 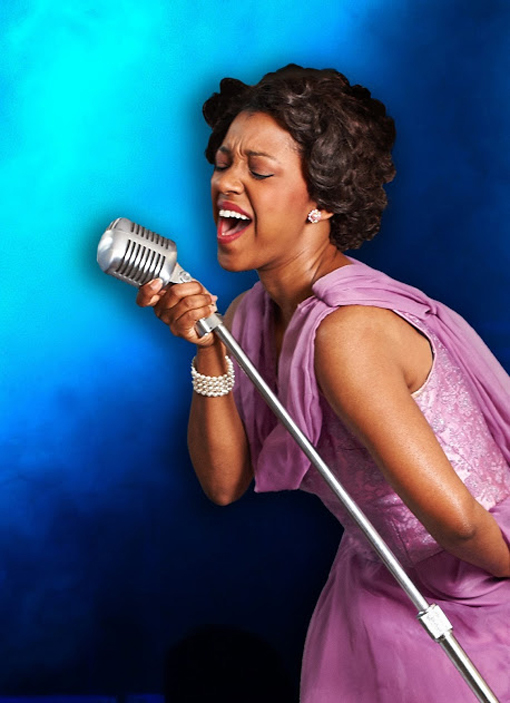 The show totally nails his speaking voice, as well as many other nuances of other Motown stars...brilliantly played! One of history's more profound singers, Marvin Gaye's music has long been a favorite of mine...so soulful. What I didn't know was how strong an activist he was. Perhaps that's one of the reasons I liked his music so much. We had the wonderful pleasure of hearing Jarran Muse (Marvin Gaye) perform Mercy, Mercy Me...I never thought I'd hear that live! That one song has so many levels to it...listen to the words, again. Get Ready! I'm not sure how The Temptations got their name because their music is irresistible! Yet another group whose music I loved as a kid. They had some cool moves, too. One of the things that is so incredible about this show is that there are not only nine scenes in Act I and nine scenes in Act II, but there are multiple songs in many of those! And the set design is AMAZING! Allow me to say it again...the set design is AMAZING! There is an incredible amount of talent represented in this show, including The Marvelettes, Stevie Wonder, Jackie Wilson and Rick James! The entertainment value of this show surpasses every expectation I had...and I had high expectations! The acting, dancing and singing talent on stage is brilliant...this cast represents Broadway in the finest form. Once again, I find myself writing the tip of the iceberg...there's so much going on in this show, so many wonderful things, you have no idea you're about to be hit with such a wonderful performance! A huge "Thank you" to BRAVE Public Relations for the tickets (Kellie, you're awesome!) and a reminder to my readers that the opinions expressed in my writings are my own. If I don't enjoy something, I won't write about it. THIS I enjoyed...toe tapping, clapping and singing the whole night! MOTOWN the Musical, part of the Broadway in Atlanta series, is at the Fox Theatre now through Sunday, August 23. Go, go, go! Hockadoo! MEMPHIS is in Georgia! That was Huey Calhoun's calling card, invented during his debut as a radio disc jockey. Refusing to listen to society's, "That can't be done! ", Huey enthusiastically brings 'Rock-n-Roll of the South' to white listening audiences, and eventually television. And he falls in love. MEMPHIS: The Musical is on stage at Aurora Theatre now through August 30, 2015. I'd been wanting to experience Aurora Theatre for a few years and what a magnificent performance for my debut in their audience. If you've not been, make time to see MEMPHIS and enjoy the fantastic Aurora, celebrating their 20th season! The wonderfulness of this performance, of a show that's a four Tony Award-winning musical, is exponential from curtain to close that a singular writing cannot express. It's without doubt a must-see, must-experience show. 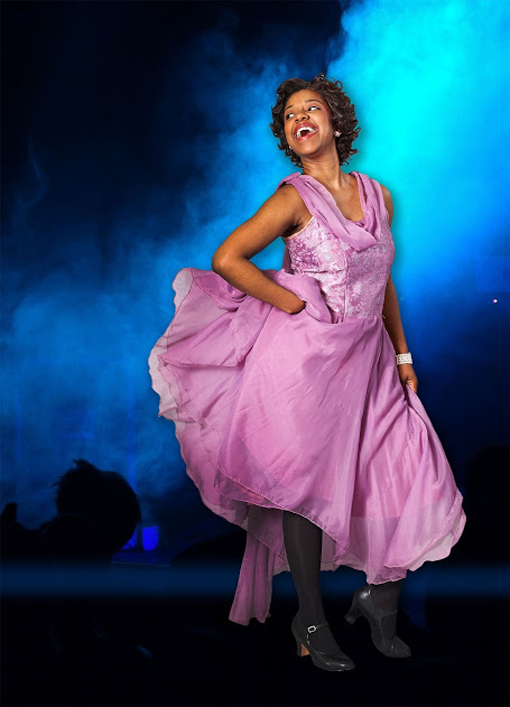 I will share, with enthusiastic applause, that Suzi Bass Award-nominee Naima Carter Russell (Felicia) is magnificent! Her performance transports you to another time, to another place, on a melody that will float your soul. This is her fourth show at Aurora Theatre and I hope she's back for many, many more! There are so many incredible actors/singers in this show whose performance I thoroughly enjoyed. They collectively bring to the stage a Broadway-caliber performance. 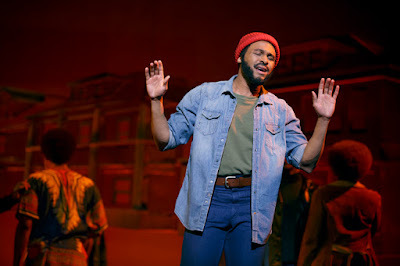 Allow me to name a few: Eric Moore (Bobby) has perhaps the most electrifying voice on stage—beyond brilliant, as an actor and singer! Cecile E. Washington, Jr. (Delray Jones) was incredibly convincing as his character—highly impressed! Eugene H. Russell IV, I feel like I've seen him perform before, yet this was the most delightfully surprising character—what a voice! Megan McFarland, (Gladys) who also I feel like I've seen perform before, is brilliant—so convincing that you don't like her character until the end! Xylina Stamper was my favorite (they're all magnificent) in the ensemble...enthusiastic and believable. Oh, and Edward McCreary, who I recently saw in another play not long ago, is also awesome. Have you ever known an egosurfer? Someone who Google's themselves...Google's their name to see if they're on the Internet? Perhaps that was an early Internet term, but yes, I've been guilty of it myself. The results are much more rewarding when I couple my name with "wanderlust ATLANTA". Ego-surfing can be great fun! Just sayin'. But the reason I mention this is because—and this was after I already had tickets—I learned just before the show that the leading man's name is Travis! Travis Smith. What I didn't expect was that the character, DJ Huey Calhoun, felt like one of your most endeared friends even before intermission. I was so caught up in everyone's performance, I didn't want an intermission. Don't you love it when brilliant acting and hip-swaying singing wholly engulfs your attention? A co-production with Theatrical Outfit, the Tony Award-winning (2010, Best Musical) MEMPHIS: The Musical is running at Aurora Theatre through August 30, 2015. There will be a one-week break between performances, but do visit Aurora Theatre! Here's another great reason to see it at Aurora. I went with my best friend Barry and we met in Lawrenceville before the show. It was the first time in downtown Lawrenceville for both of us. What a quaint and charming town! We'd planned on grabbing a bite before the show and did we ever pick the right place! Barry was texting local friends for restaurant recommendations and I was checking out the storefronts (I totally want to go back to visit the comic book store Galactic Quest) with a grumbling belly. We went in one place that we quickly decided was too loud for catching-up conversation and went instead to Dominick's. Their tagline—Little Italy. Lotta Food.—is an absolute truth! I wholeheartedly recommend them for your dinner-and-a-show excursion! Quickly, speaking of food, when I was in Memphis, Tennessee, many years ago, another friend and I went to the legendary Charles Vergos' Rendezvous Charcoal Ribs for some of the best BBQ I've ever had. We ordered a few slabs via mail-order not too long after we returned home. Yes...it was that good! I wish I'd experience the contemporary music scene in Memphis, but alas, that's something to look forward to. 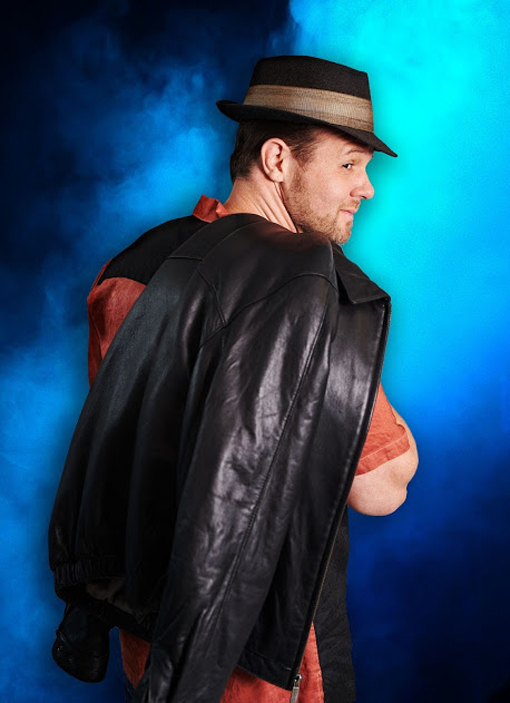 In the meantime, there's MEMPHIS: The Musical! I want to offer a heartfelt "Thank you" to BRAVE Public Relations for the tickets (Chelsea is awesome!) and to Aurora Theatre for the incredible hospitality (especially Jennifer, who looks remarkably like Jeri Ryan), even though they didn't know I would be writing about the experience. You guys rock! 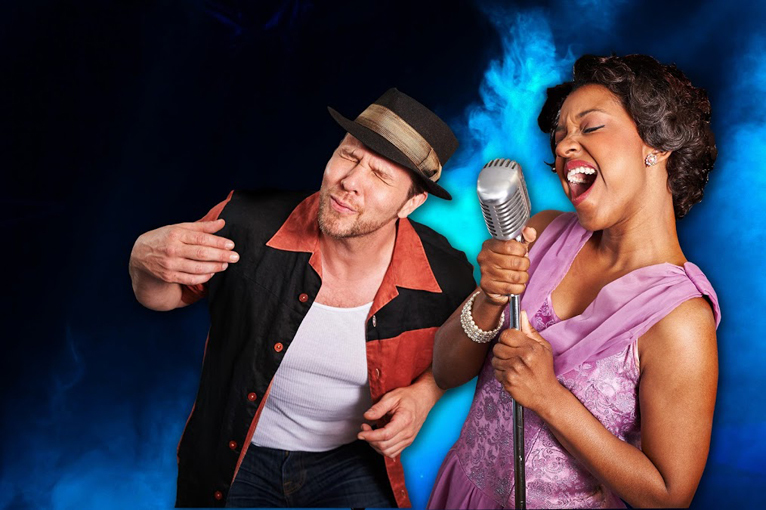 Go see MEMPHIS: The Musical at Aurora Theatre by August 30...you're going to love it! Keeping it real: While the complimentary tickets are greatly appreciated, all opinions are my own...I will not write about anything I don't enjoy. THIS show I wholeheartedly enjoyed! I've been cooking since I could reach the stove, so I naturally have a special love for kitchen and culinary stores. I used to get in trouble for using so many groceries in failed cooking "experiments". I've learned a lot since then and, to my delight, culinary technology has advanced quite considerably. And I'm happy to share that my cooking these days is more expertise and less experiment, although I still find myself often trying something new. Having never taken a cooking class, outside of a Home Economics class in school approximately a bazillion years ago, I learned most of what I know of cooking by watching my mother and grandmother cook...some of those memories go back to before grade school. I don't remember a lot of my childhood, so that tells you a little bit of how special those particular memories are to me. Since I've been back in Atlanta, I've had the awesome pleasure of meeting quite a few of our celebrity chefs and culinary celebrities, including Mary Moore, Founder and CEO of The Cook's Warehouse, Atlanta's premier gourmet store and cooking school. 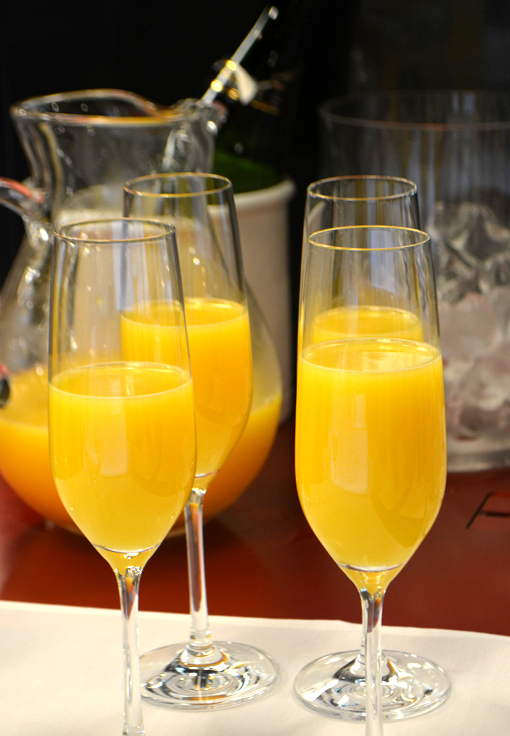 Mary recently invited me to a Bloggers-Only Champagne Brunch. Let it be known that Mary knows how to throw a party! In the photo above, that's Mary on the left with Chef Jennifer Hill-Booker, who was there to not only prepare brunch for us, she made the whole experience a cooking demonstration! 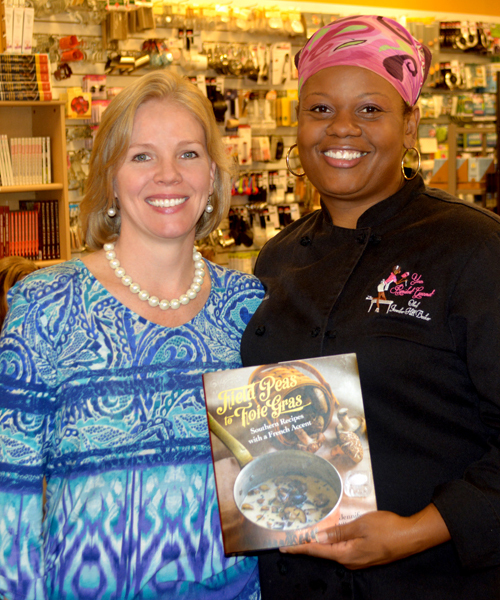 Many of the dishes we enjoyed were from her cookbook, "Field Peas to Foie Gras: Southern Recipes with a French Accent." Before I go much further, I wanted to let you know why I'm blogging about a gourmet store and cooking school, not an obvious tourist destination, but I think it should be! As much as I'm a lover of all things tourism, I'm also a foodie—no surprise to those who know me or to those who have read wanderlust ATLANTA for a while. To tie the two together, I want to offer The Cook's Warehouse as not only a destination, but also as a magnificent source for souvenirs and gifts for friends and family back home, wherever that might be. I'ts definitely a destination when it comes to treating yourself or gift-giving for ANY friend or loved one...their selection is brilliant! When I travel, "the" souvenir I get for myself is a book about the city I'm visiting. They not only make for an awesome collection, they allow me to revisit that city any time I want. Some in that collection are also cookbooks, which makes for a whole other way of reminiscing a vacation. I love that The Cook's Warehouse stocks so many cookbooks written by local chefs, and we have some awesome chefs in Atlanta! 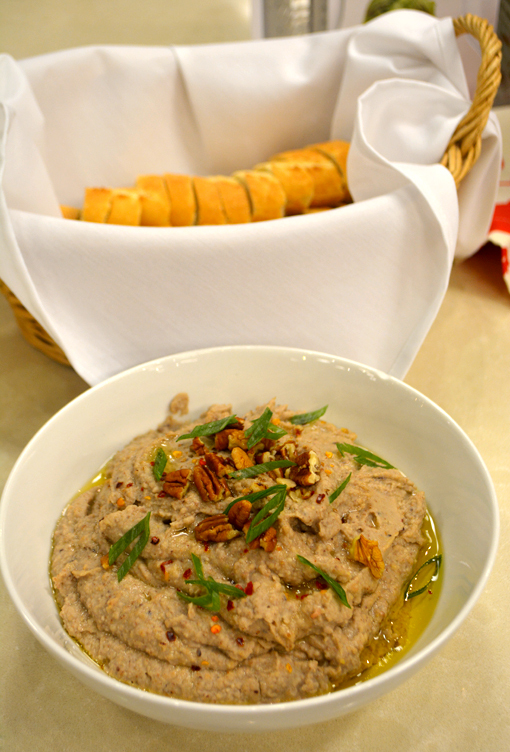 One of the dishes we enjoyed early on was Chef Jennifer's Black-Eyed Pea Hummus. Having lived in the Mediterranean for more than two years, I have a special relationship with hummus. I'm not a hummus snob mind you, but when you've had the real thing, it's ridiculous to eat something sub-par. There was nothing to fret on this occasion...Jennifer's hummus is magnificent! I'd be remiss if I didn't mention our other hosts, David Dunford, Corporate Sales and Events Manager at The Cook’s Warehouse, and Jim Brams, Public Relations for The Cook's Warehouse. Both were and have been awesome to work with...thanks, guys! I love spicy olives! 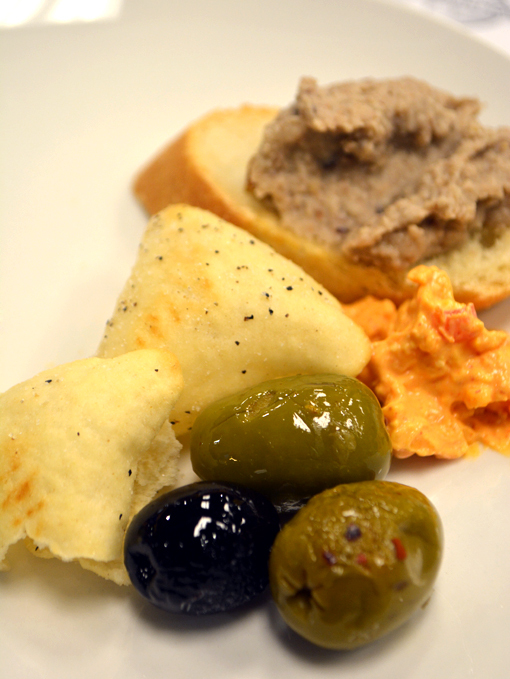 But the best thing on this hors d'ouevres plate—we made our own plates from dishes Chef Jennifer had prepared earlier—was her homemade pimento cheese! That's another dish that can be worst-in-the-world -or- make you want to grab the bowl and leave the other guests to fend for themselves. I was of course in polite company, so the bowl snagging wasn't an option, but based on comments I heard from other bloggers, I wasn't the only one who entertained the notion. Part of the program was a presentation of new or popular in-store products, quite a few of which caught my attention. I've never mastered the art of grilling, but a Big Green Egg might encourage some experimentation—or I could take a class! They also showed us a bowl-at-a-time ice cream maker—love that one! While I've never met a cool kitchen gadget that I didn't like, I'm particularly fond of a good cast iron skillet, thanks to all the amazing dishes my mother created with hers, which belonged to her father. One of the features that make The Cook's Warehouse such a popular destination is its cooking classes. And there are a LOT to choose from. I seem to remember that the knife skills class is the most popular. A quick scan of their class listing reveals that some sell out, so plan ahead. Then again, there are so many to choose from you're sure to find one you'll enjoy, even when planning last-minute. This salad (above), as simple a salad as it may appear to be, is one of the absolute best that I've had in...I don't know how long it's been! I love arugula and oranges, but the vinaigrette Chef Jennifer made in real-time was perfection. In case you're wondering, I do believe it was this early in the meal that I knew without a doubt that I'd be buying her cookbook that day. She autographed it and included a lovely inscription. Thank you, Chef! 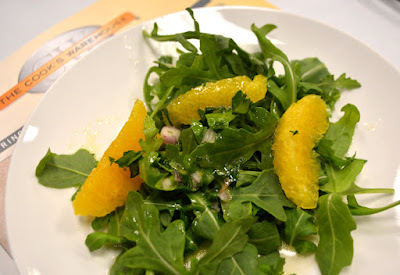 Chef Jennifer's "Orange & Arugula Salad with Citrus Vinaigrette" is truly brilliant! I want more! More, more, more! I could eat that dish every day. I love eggs. Always have. So I've had a lot of them in my lifetime. One of the greatest, and fun, challenges with liking a food so much is coming up with new ways to enjoy it. 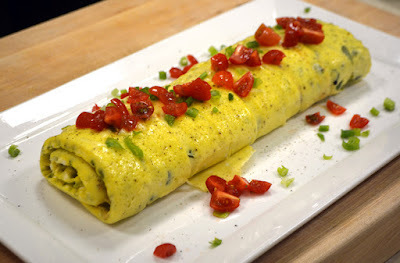 I can honestly say that I've never had my eggs quite like this...Chef Jennifer's Spring Omelet Roll. 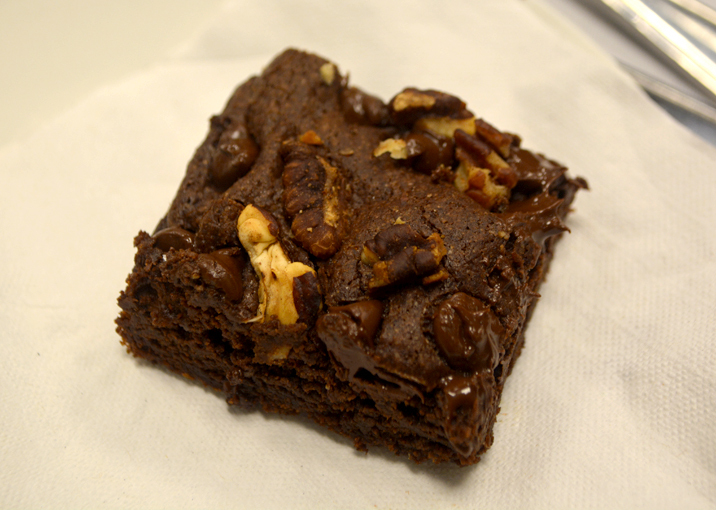 And again...delicious! This was also a recipe from Field Peas to Foie Gras. In Chef Jennifer's cookbook she says that Blackberry Cobbler (recipe in the book) is her favorite, even though when she was in Paris, she mostly made cobblers with strawberries or raspberries, which were more readily available. I've shared before that my personal favorite dessert was my mother's Blackberry Dumplings—I could eat my weight in that dish! I hope to soon be recreating that recipe with my mother (that's going to be a special day), but in the meantime, I'm going to give Chef Jennifer's Blackberry Cobbler a try...I know it'll be amazing! There's also a recipe for Coconut Cake, which was my grandmother's favorite, so I'll be trying that one as well. And our bubbles were Private Label Guyot Choppin Brut from Sherlock's Wine Merchant...quite delightful! The Cook's Warehouse is one of the most incredible gourmet shops I've ever been to, and I've been a customer of their Midtown/Ansley Square location for years! I've yet to attend a cooking class, but understand that their Knife Skills class is the most popular. When it come to gift-giving, when the recipient, I'm all about Star Trek and/or kitchen gadgets, or kitchen counter appliances...I'm not that picky, but a top-grade mixer would be awesome! Especially in laser red. Actually, my friend Mike, who has an awesome singing voice, has ALWAYS gotten the Star Trek gifts exactly right. He knows I'm a foodie, but indulges the Trekkie in me. One thing about The Cook's Warehouse...allot yourself ample time to browse. They have an incredible amount of inventory! And whoever is doing the purchasing for the stores (there are several locations around town), they're sourcing only top quality, cooking gear that you'll actually use. If I recall correctly, Mary started the store after going to numerous stores to find a particular item, but couldn't find it...and it wasn't that rare a cooking item. I seriously doubt that's going to happen to you at The Cook's Warehouse...they have everything! 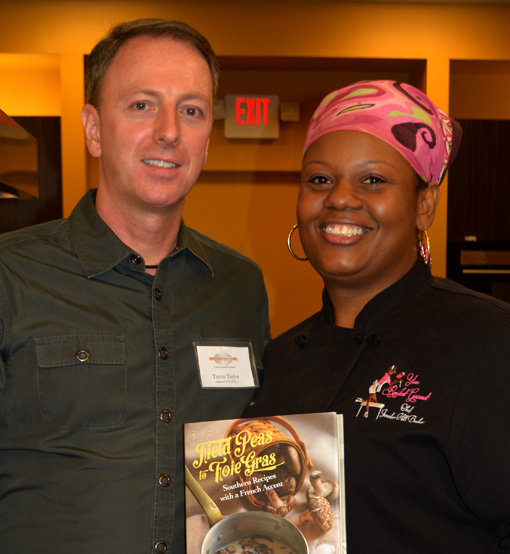 I first met Chef Jennifer at the event when she was inducted as a Georgia Grown Executive Chef. Georgia Grown is a program of the Georgia Department of Agriculture and Georgia Grown Executive Chefs are ambassadors for buying and using Georgia-grown and Georgia-made products. I personally have great admiration for the program. Chef Jennifer is also a relatively new member of Les Dames d'Escoffier International - Atlanta Chapter (LDEI), an invitation-only nonprofit organization of professional women in the hospitality and culinary arts. They're also very active in philanthropy. I knew that Mary Moore was also a member, but it wasn't until this brunch that I learned that Mary was Chef Jennifer's sponsor—the member who nominated Chef Jennifer for membership. It's a small world we live in! I'm a HUGE fan of LDEI, and will be writing more about the wonderful work they're doing and the opportunities they afford Atlanta tourists, visiting and local. 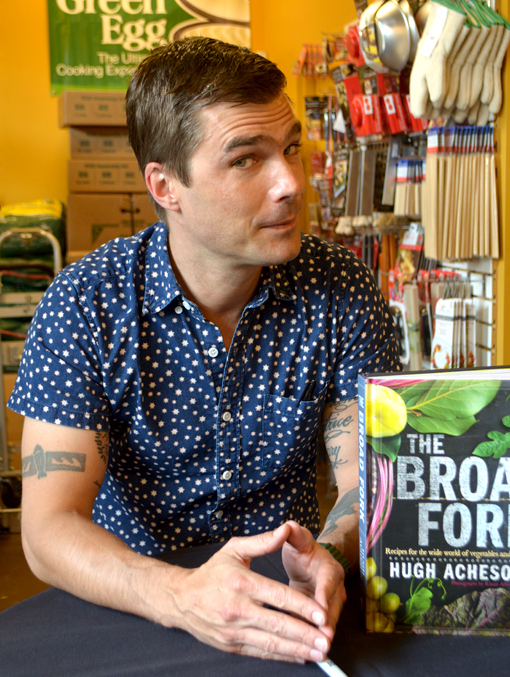 Chef Hugh Acheson, you know him if you're an Atlanta local and you know him if you'rea fan of Top Chef, was at The Cook's Warehouse for a book-signing event (The Broad Fork) immediately after the Bloggers-Only Brunch. He graciously let me make a photo. "Thank you, Chef Hugh!" 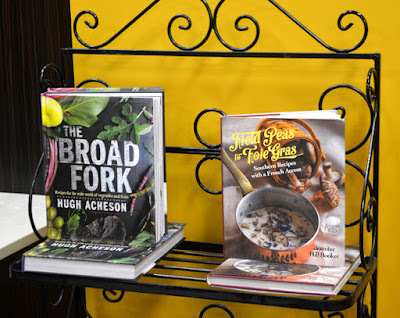 You can have your own photo of Chef Acheson by picking up one of his cookbooks and/or getting a free copy of the official Georgia Travel Guide for 2015—he's on the cover! You can also view the Guide online. It's an excellent resource for planning vacations and finding things-to-do in Atlanta and throughout Georgia! Speaking of vacations and sightseeing, I wanted to remind everyone that foods, cookbooks and and kitchen gadgets make great souvenirs, for yourself or friends and family back home. So, skip the cheesy shot glass and t-shirt that they'll never wear, and get them something that they can cook from or cook with for a lifetime or savor for a special occasion. The Cook's Warehouse is certainly a perfect stop for such a thoughtful and fun souvenir. I'll be talking more about The Cook's Warehouse in a future post when I'll be sharing ideas for an Atlanta Culinary Vacation! In the meantime, you can sign-up for their newsletter at their website (lower left corner). Thank you again, Mary Moore! I've long been a fan of The Cook's Warehouse and am so glad to get to know your store better. See you around town!